Welcome to Elav Tartu webpage! ​We believe that our current community and environmental conditions are unsustainable. 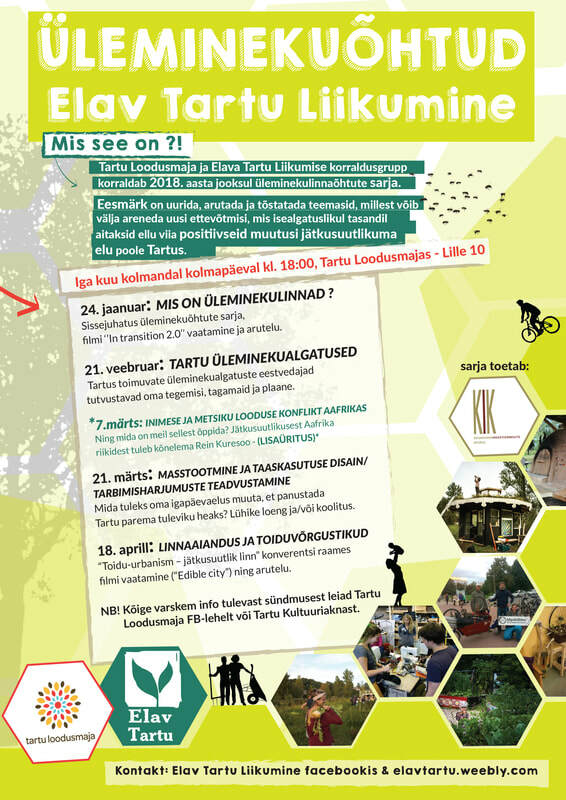 ​ We need a fast transition to a more sustainable and vibrant Tartu. True change will succeed if driven by the people, for the people.